Winter seems to have arrived early in my neck of the woods, and if the national (and international, for that matter) weather maps are any indication, it seems to have arrived early everywhere. There’s a lot I like about winter—hot chocolate, cozy knits, pretty snowfalls when I don’t have to be out in it—but there’s also just enough negative about winter that I threaten to move south, way south, every year. Case in point: I am not so fortunate as to park my car in a garage, and therefore, without fail, from the time of first snowfall to the last gasp of winter sometime in April, I have to clean my car off almost.every.day. 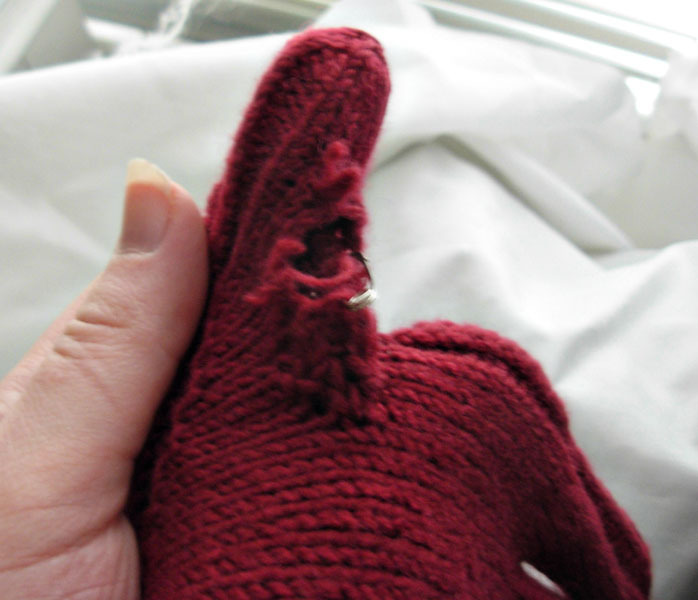 The next day a hole tore in the finger of the opposite glove. The repair job was less precise that time. Time to start looking for a new pattern. 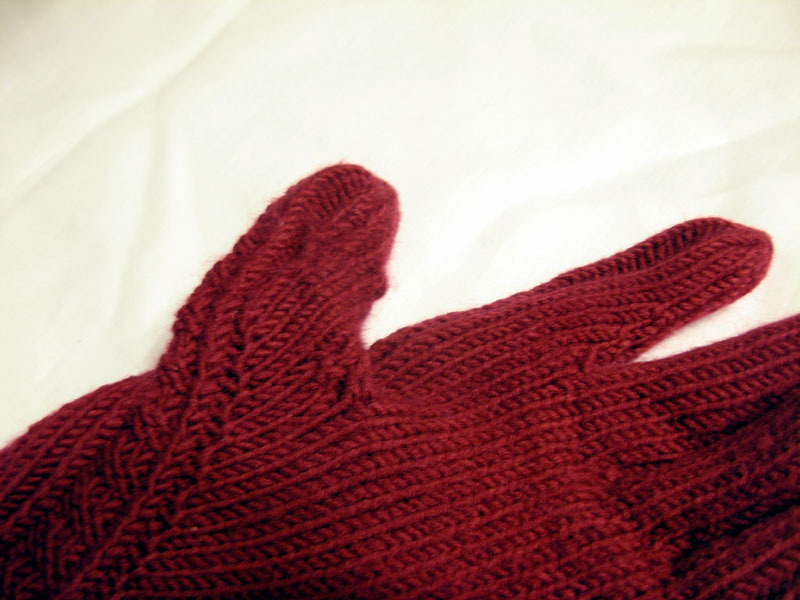 I’m thinking mittens.